Valentino Garavani Studwrap Leather Mules $875 Free US shipping AND returns! Valentino Garavani The Rockstud Leather Mules $845 Free US shipping AND returns! Valentino Garavani The Leather Sandals $995 Free US shipping AND returns! 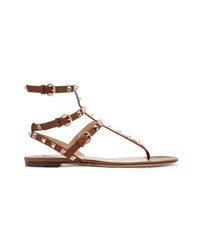 Valentino Garavani The Rockstud Leather Sandals $975 Free US shipping AND returns! Valentino Garavani The Rockstud Metallic Leather Sandals $975 Free US shipping AND returns! Valentino Garavani The Rubber Sandals $475 Free US shipping AND returns! Valentino Garavani The Leather Sandals $945 Free US shipping AND returns! Valentino Garavani The Rockstud Leather Sandals $945 Free US shipping AND returns!